Vitiligo is the most common depigmentary disorder that has been affecting human lives across centuries. Despite its high prevalence, not much can be said precisely about its pathogenesis. Over the years, several theories based on a lot of research have been put forward and many more are coming up each day. This article aims to summarise the various theories put forward so far and highlight the Recent updates in each of them. Melanoma is a malignant neoplasm of the melanocytes, in which there is invasion either horizontally and upwards into the epidermis or vertically downwards. 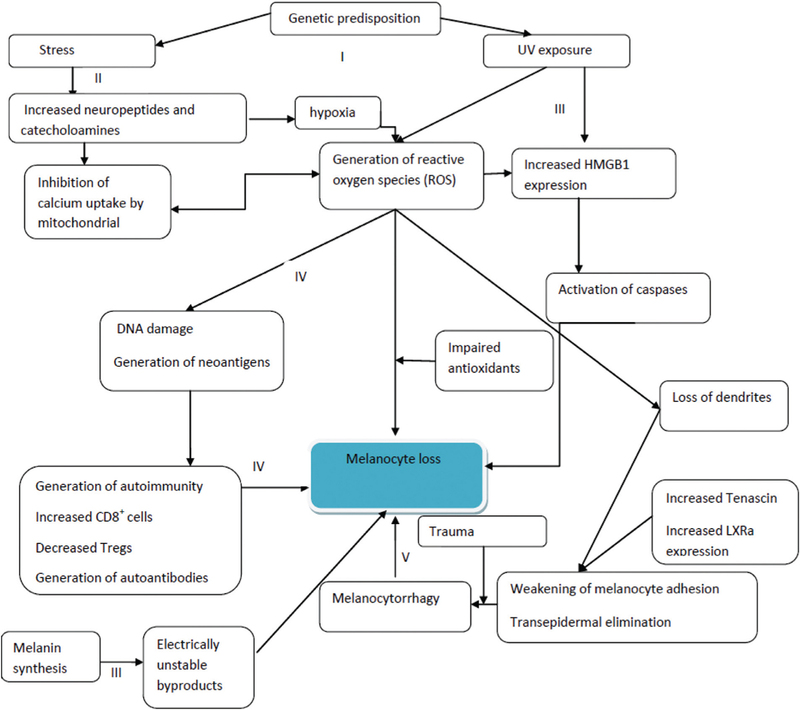 This review describes the global scenario of melanoma with respect to its epidemiology, clinical features, diagnosis and newer treatment modalities. Introduction: Melasma is a chronic acquired disorder of facial melanosis characterized by brown-black macules on sun exposed areas of face. Melasma has a severe impact on the quality of life (QOL) of the patients, causing emotional, psychological, and social stress. Aims and objectives: (1) To evaluate the impact of melasma on QOL using the Hindi adaptation of Melasma QOL (Hi-MELASQOL). 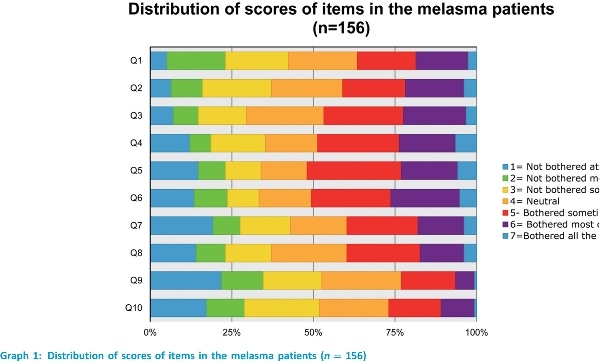 (2) To study the relation between Melasma Area and Severity Index (MASI) score and Hi-MELASQOL. Materials and Methods: A total of 156 patients of melasma attending the dermatology outpatient department of our institute were included. Patients were subjected to assessment of MASI score and Hi-MELASQOL questionnaire consisting of 10 objective questions using a Likert-scale of 1 to 7. Results: Hi-MELASQOL did not correlate statistically with MASI score, age of onset of melasma or with its duration. No statistical significant difference was found among the Hi-MELASQOL scores of patients with different occupation, education levels, or marital status. In Hi-MELASQOL questionnaire, 36.54% cases were bothered due to the appearance of their skin due to melasma, 41.03% felt frustrated, 46.03% felt embarrassed, and 48.72% felt depressed. Conclusion: Impact of melasma as measured by Hi-MELASQOL revealed that patients with melasma felt frustrated, embarrassed, and depressed. 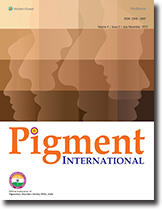 Melasma has effect on interpersonal interactions in Indian patients. However, Hi-MELASQOL is independent of MASI score. Hence, QOL should be assessed in every patient of melasma and treatment plan should be devised taking into account the psychosocial and emotional stress. 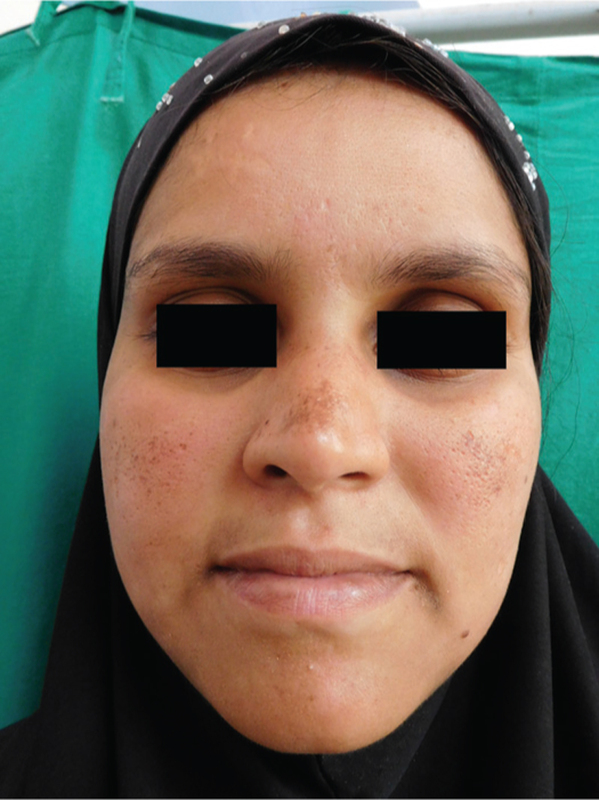 Background: Melasma is a known, acquired, pigmentary disorder among females. It is very difficult to treat because of its variable response to treatment and rapid recurrence. Dermoscopy is an essential tool, by which, we can classify melasma based on its colour pattern and other findings. Aims and Objectives: To classify melasma by dermoscopic examination and correlate dermoscopic findings with the clinical diagnosis. Materials and Methods: A total of 100 patients attending the out patient department of skin department were included in the study. After obtaining the consent, the patients were examined in detail. The dermoscopic examination was performed, and findings were noted. 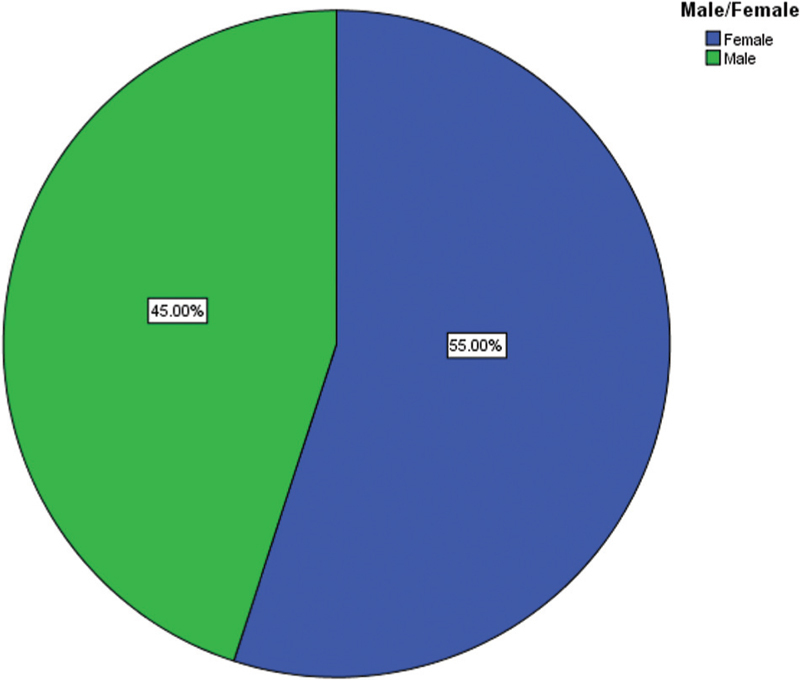 Results: Out of 100 patients, who enrolled in this study, 80 patients were females, and 20 patients were males. 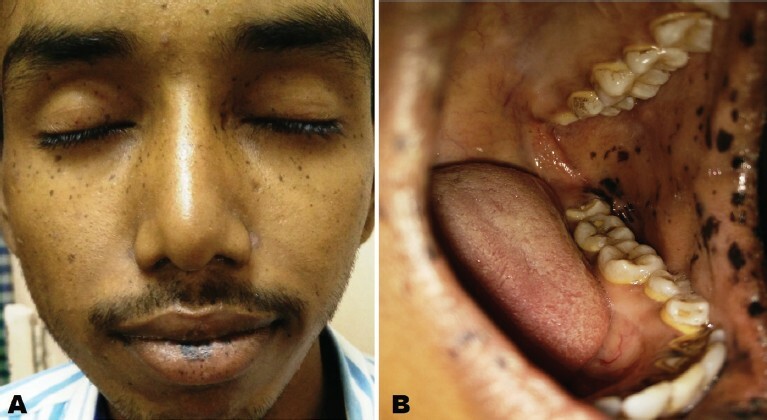 On dermoscopy, 46 patients showed epidermal pattern, out of which 13 were males and 34 were females. 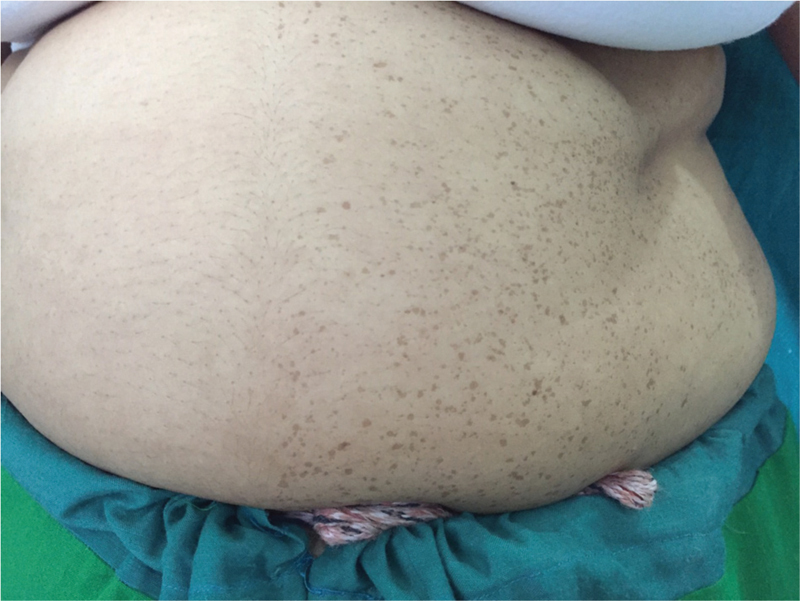 Eighteen patients showed dermal pattern and 36 patients showed mixed pattern on dermoscopy. Between dermoscopic analysis and colour, a significant association was observed (Cramer’s V value = 0.534; P value = 0.000). We found that epidermal pattern was more associated with a light brown colour, whereas, the dermal pattern and mixed pattern were associated with ash grey colour and dark brown colour, respectively. 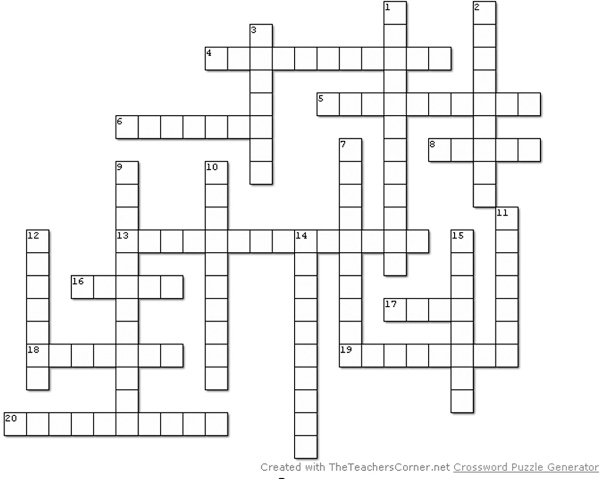 Statistical analysis was performed by using percentage and bar diagrams. Both descriptive and inferential statistics were employed. Cramer’s V test was applied to find out the association using the Statistical Package for the Social Sciences software (SPSS Inc., Chicago, IL, USA). Conclusion: Dermoscopy can be used to assess the type of melasma by analysing colour pattern, as well as depth of pigmentation and to differentiate between melasma and exogenous ochronosis. From our observations, we conclude that dermoscopy can be used as a tool in the management of melasma and other dermatological disorders. Background: Vitiligo, a common, acquired, idiopathic, depigmenting disorder of the skin and/or mucosae has a profound effect on the patient’s quality of life (QoL). However, its relationship with clinical severity remains equivocal. Aim: To measure the impairment in QoL of patients having vitiligo and correlate it with the severity of the disease. 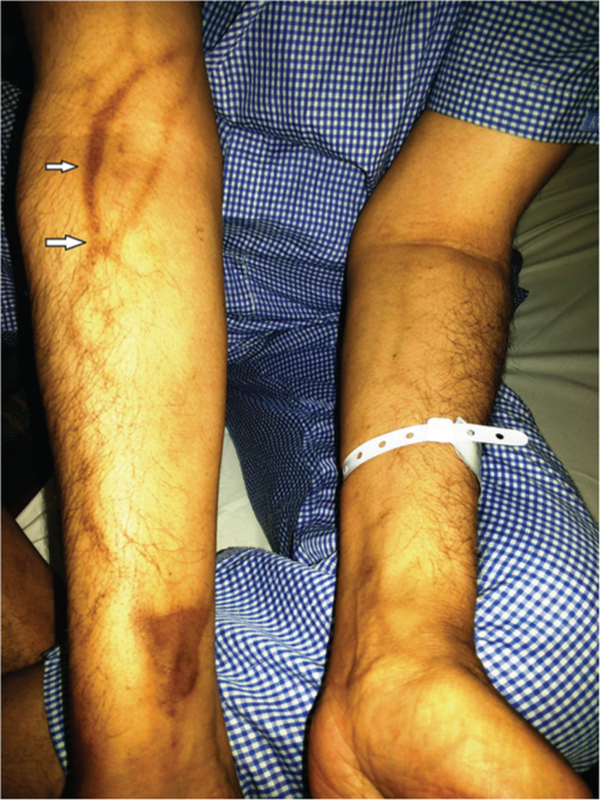 Materials and Methods: A cross-sectional, questionnaire-based study was conducted on a cohort of 100 consecutive vitiligo patients attending the outpatient department of our tertiary care hospital over a period of 1 year. A physician utilized the vitiligo area severity index to measure the severity of the disease, whereas the patient’s QoL was assessed by using the vitiligo impact scale-22. Demographic data and clinical characteristics were also documented. Spearman’s correlation coefficient, chi-squared, and independent ‘t’ tests were used as appropriate. Results: Our study revealed a highly significant correlation between the extent of vitiligo and impairment in QoL. Patients with early onset of disease, those having previously taken any kind of treatment, unmarried individuals or those with vitiligo involving the face and/or upper extremities had a significantly greater impact on their QoL. Conclusion: The severity of vitiligo, among other factors, is significantly correlated with the impairment in the QoL of its sufferers. Reticulate acropigmentation of Kitamura (RAPK) is a rare genodermatosis characterized by pigmented, angulated, atrophic freckle-like lesions arranged in a reticulate pattern on the dorsal surface of hands and feet with symmetric involvement. We hereby report a case of unilateral RAPK in a 29-year-old female. 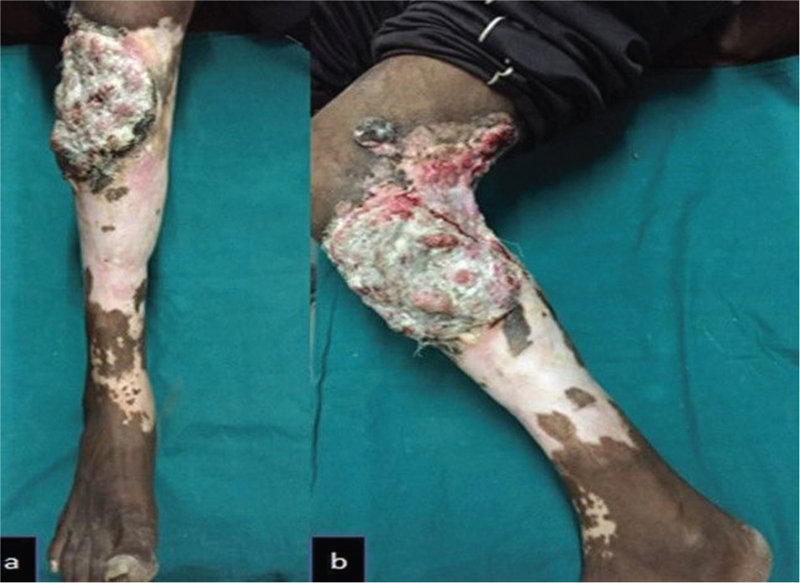 The patient had cutaneous lesions and histopathology characteristic of RAPK, involving only the left side of her body with clear midline demarcation. This case is being reported in view of its rarity and being the first of its kind. Melanin is a pigment that contributes to skin and causes the physiological pigmentation of gingiva. Excess melanin causes hyperpigmentation. It can affect the appearance and self-esteem of the patients. Gingival hyperpigmentation can be treated by several treatment modalities. Repigmentation occurs post-surgery regardless of the procedure used, but the intensity and degree vary. 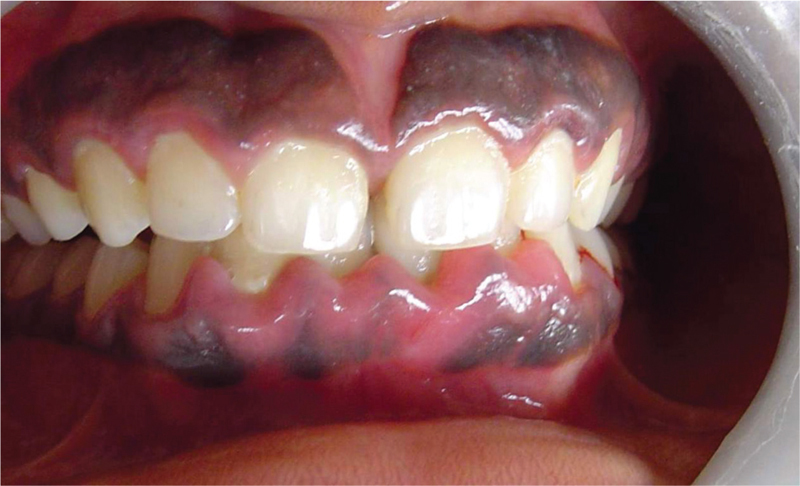 In spite of recurrence, depigmentation procedures can result in improved gingival appearance. In the present case, the patient complained of black gums. On examination, hyperpigmented gingiva with short clinical crown and aberrant frenal attachment with midline diastema were noted. It was treated by surgical depigmentation, gingivectomy to increase the crown length and frenectomy to correct aberrant frenal attachment. The patient did not agree for midline diastema closure. Gingival pigmentation index was used to grade gingival pigmentation. The gingival aesthetics improved at the end of 5 months. Vitiligo is an immune-mediated disease characterized by idiopathic destruction of melanocyte. The loss of pigment melanin predisposes vitiligo patients to photosensitivity and early photodamage. Despite this, the incidence of squamous cell carcinoma (SCC) is not found to be increased in vitiligo. SCC is a common malignancy of keratinocytes that arises in sites of exposure to excessive ultraviolet radiation. Various theories have been proposed for lower incidence of SCC in vitiligo. These include decrease in cytokines, such as transforming growth factor-β and IL-10, along with increase in IL-1, TNF-α, p53, superoxide dismutase, and glutathione peroxidase. 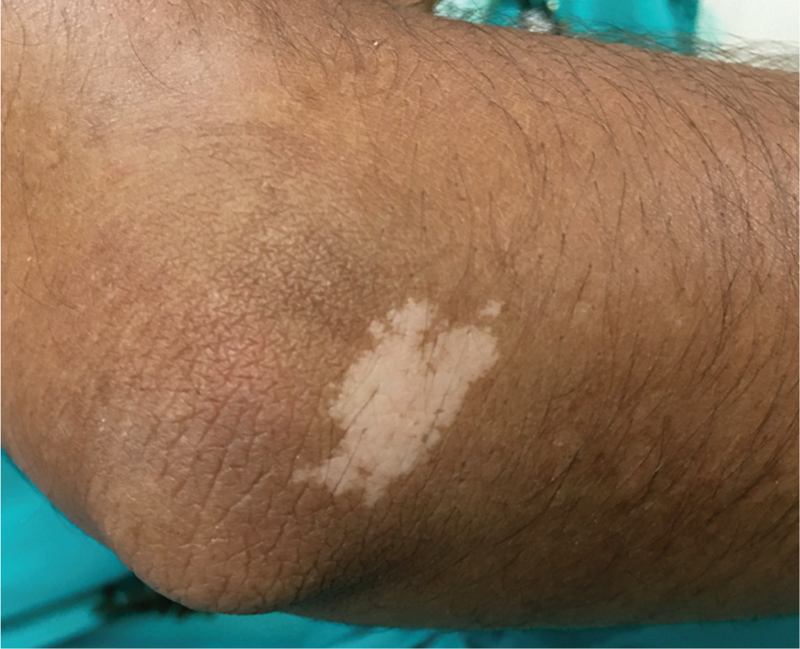 We hereby report a rare case of SCC arising in a patient with longstanding vitiligo of photoprotected skin with no history of phototherapy.